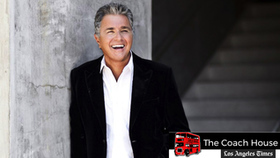 Producer, composer, and singer Steve Tyrell was born and raised in Texas, cutting his teeth in local R&B bands before relocating to New York at age 18 and landing a staff position at Scepter Records. As the label's head of A&R and promotion, Tyrell championed the classic Burt Bacharach/Hal David-composed recordings of Dionne Warwick and also recruited singer B.J. Thomas, producing his hits "Hooked on a Feeling" and "Raindrops Keep Fallin' on My Head." In the years to follow, Tyrell additionally made his mark as a hit songwriter, co-writing the gold-selling number one hit "How Do You Talk to an Angel" for the Heights and the Jamie Walters smash "Hold On," as well as working on music for film (Mystic Pizza, Midnight Crossing, and The Brady Bunch Movie, among others) and television. 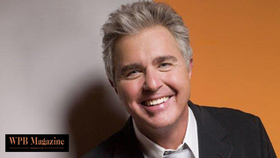 A New Standard He returned to performing in 1991, singing "The Way You Look Tonight" on the soundtrack to Father of the Bride, then had two more cuts on the soundtrack to Father of the Bride, Pt. 2 in 1995. An album of standards, A New Standard, followed in 1999; it was a Top Five hit on the jazz charts and was still listed in those charts two years after its release. Tyrell followed it with a second album, Standard Time, in 2001. The holiday-themed This Time of the Year arrived in 2002, followed in 2003 by another album of pop standards, This Guy's in Love. 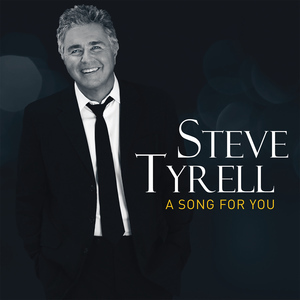 In 2005, Tyrell released Songs of Sinatra on the Hollywood label; it was followed a year later by The Disney Standards. Tyrell's seventh album, Back to Bacharach, was released in 2008. 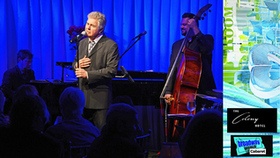 I'll Take Romance He returned in 2012 with his homage to the Great American Songbook, I'll Take Romance, and continued his salute to standards in 2013 with the Concord release It's Magic: The Songs of Sammy Cahn. 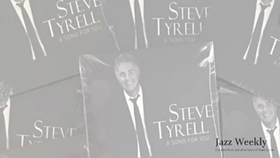 The album coincided with Tyrell's New York residency at the Café Carlyle, where the Great American Songbook has been celebrated for decades. 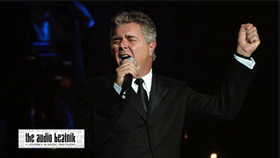 2015's That Lovin' Feeling featured his take on classic pop songs from the Brill Building era of the '60s. 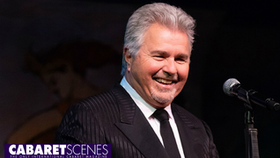 Tyrell then marked his 13th year performing at the Café Carlyle during the holidays with 2018's Song for You, a set of romantic favorites by Fats Waller, Leon Russell, Van Morrison, and others. 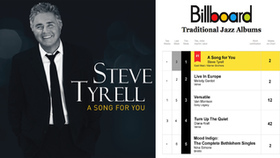 Grammy Award winner and two-time Emmy nominee, Steve Tyrell, releases his latest album, A Song For You, on New Design Records / East/West Records. The 12-track release features Tyrell's takes on classic love songs by Van Morrison, Leon Russell, Jackie Wilson, Harold Arlen & Johnny Mercer and more. Also featured on the record is the final work of Tyrell's friend and collaborator, the legendary - Paul Buckmaster-one of the foremost arrangers and concertmasters of the rock era. "A Song For You" was the very last song Buckmaster worked on in his storied Grammy Award-winning career.